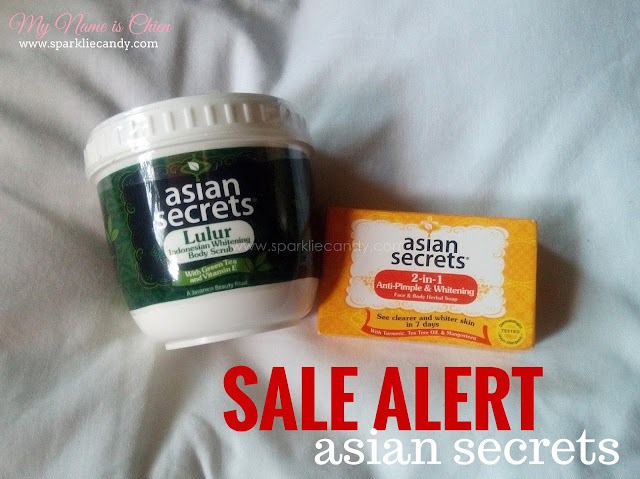 Annyeong hasseyo everyone, Asian Secrets, an Asian whitening beauty remedy in a convenient tub is on 30% off only for the month of May! This is the big help you've all been waiting for (I included). Let us get our skin back to its tone after basking under the summer sun. Removes dead skin cells and whitens skin. Asian Secrets 2 in 1 Anti-Pimple and Whitening Face and Body Herbal Soap (P20.30 from P29.00) This bar soap combines the efficacy of antibacterial Turmeric, pimple-drying Tea Tree Oil and skin-healing Mangosteen. Promo runs from May 1 to May 31, 2016 so fill your skincare kits now.